The City Canal crossed the upper part of the Isle of Dogs from Blackwall Reach to Limehouse Reach. 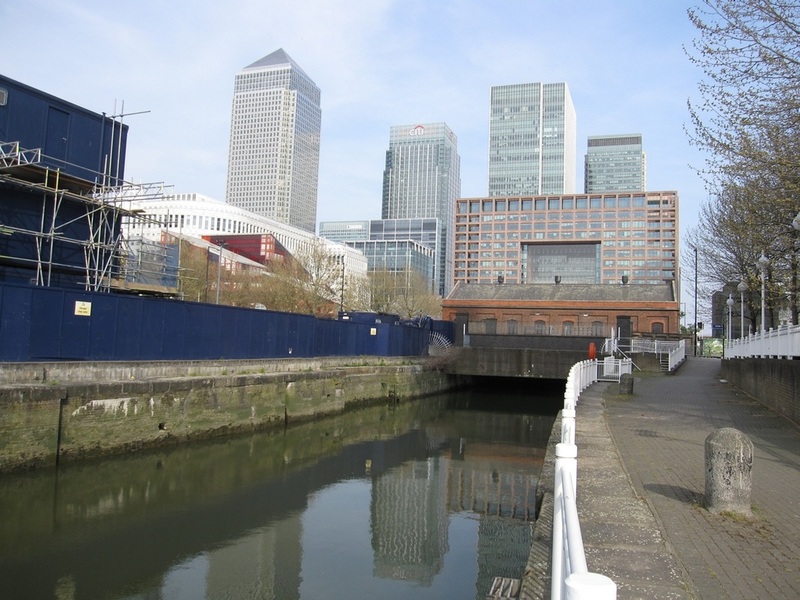 The canal was built as a short cut for vessels travelling to wharves further up the Thames to save them navigating around the 3 mile loop south of the Isle of Dogs. This was to assist West Indian merchants who threatened to take their trade to ports elsewhere where access was more easily accessible. The three quarters of a mile in length canal with a lock at either end was built by The City of London Corporation with public funds and opened in 1805.The buildings which had previously served the area’s fishing industry were swept aside to make way for shipyards, dry docks and ironworks. By 1809 Coulson & Company had built an iron foundry, reputedly London's largest, called the Canal Iron Works. 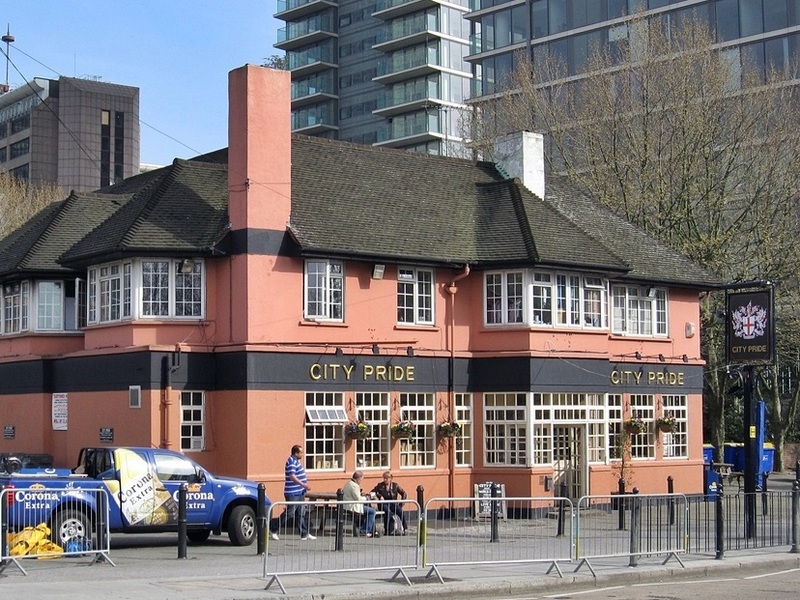 Pubs named City Arms (see below) and Canal Tavern were opened adjacent to the western lock. Despite being a short cut, the tidal Thames determined that it was still often quicker to just sail the long way round instead. Unable to attract sufficient shipping to pay for its own maintenance, the canal ran heavy financial losses and it was sold off to the West India Dock Company in 1829 whose main reason for purchase was largely to avoid it falling into competitor’s hands. The canal was closed and changed its use into a timber dock. 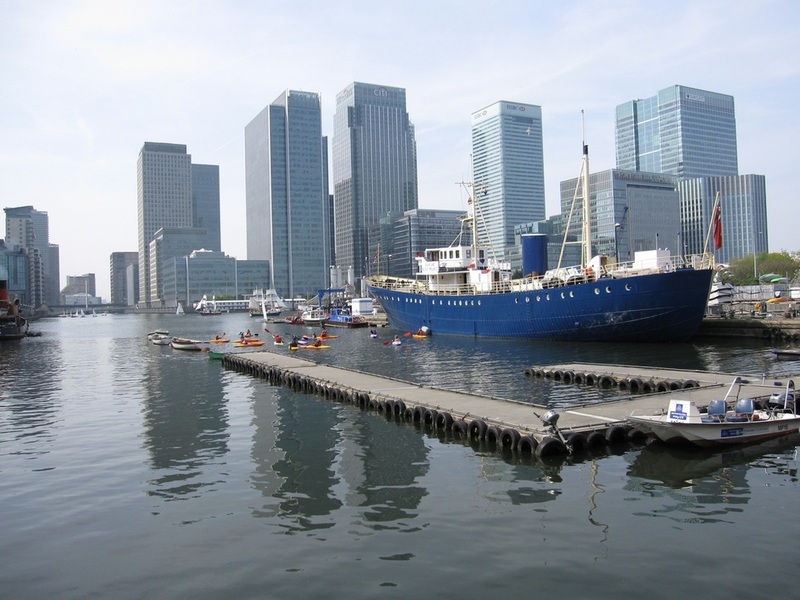 It was later enlarged and renamed South West India Dock which is now known as South Dock. 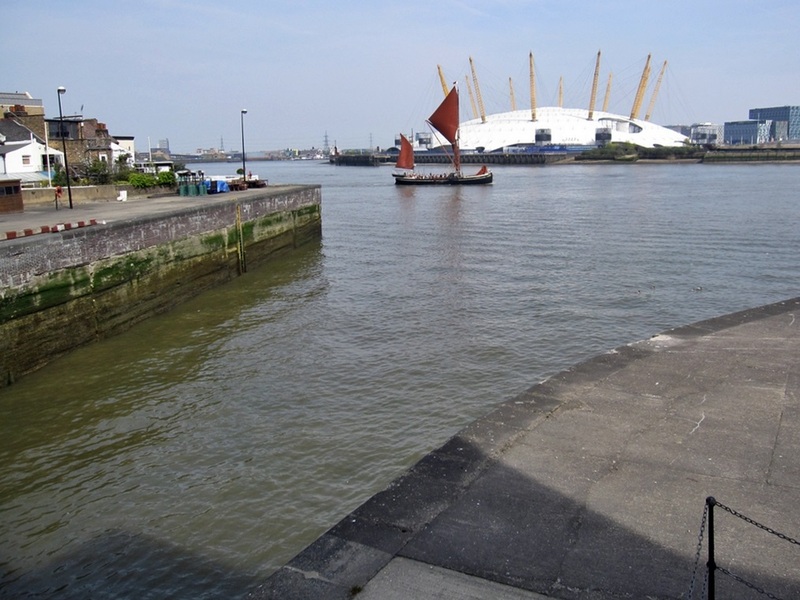 The original eastern lock entrance was rebuilt in 1931 and at the same time passages were made to link to the other docks on the Isle of Dogs. This lock is now the only working entrance from the Thames into the Docks. The western entrance is now blocked by a road and a pumping station, which was built by the Port of London Authority in 1929 to manage the water levels in the docks complex. The Eastern Lock entrance at Blackwall Reach. This lock is the only working entrance from the Thames into the Docks at the Isle of Dogs. 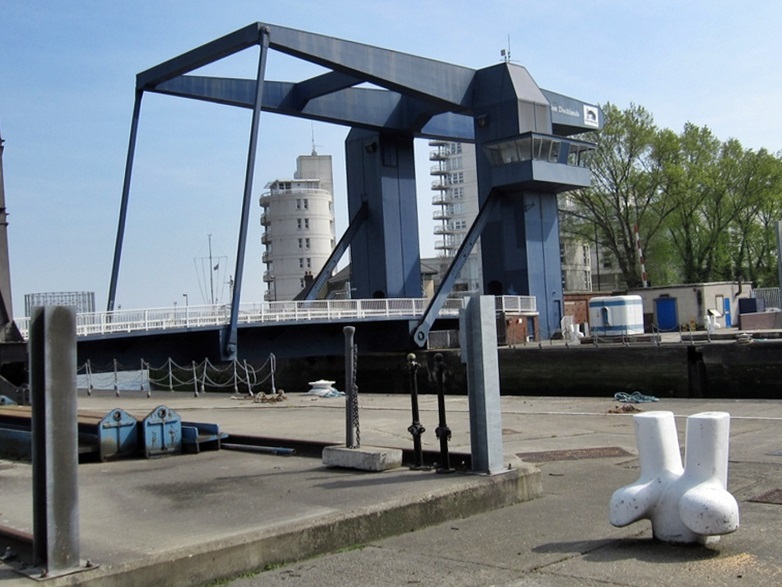 The blue swing bridge is the sixth bridge to be installed across this lock since it opened in 1805. All the bridges were designed to allow huge ships to enter the lock.